Former Clinton Independent Counsel Ken Starr on Friday penned an opinion piece in The Atlantic about Special Counsel Robert Mueller's next steps in the Russia investigation. According to Starr, Mueller can't indict President Donald Trump if wrong-doing was found and he must "remain silent." The nation should have risen, as one, in righteous indignation in the aftermath of the Comey press conference. In a single misadventure, Comey both seized power that was not his—the power to seek an indictment, a prerogative that was entrusted to the attorney general—and then violated one of the fundamental principles of public prosecution: Thou shalt not drag a subject or target of the investigation through the mud via public criticism. Prosecutors either seek an indictment, or remain quiet. Robert Mueller is not your everyday prosecutor, however. Under Department of Justice policy, a sitting president cannot be indicted. This prosecutor, unlike other prosecutors, cannot indict if he finds an indictable offense. And in contrast to the practices and policies that govern thousands of federal prosecutors around the country, this former FBI director—now a special counsel—has a specific reporting obligation. That solemn obligation is not to produce a public report. He cannot seek an indictment. And he must remain quiet. Although Attorney General William Barr faces bipartisan pressure to publicly release Mueller's report, Starr argued that's not in the rules and regulations guiding the Special Counsel. Under the regulations that governed his appointment and now guide his final acts, Mueller is to provide a confidential report to one person only: the attorney general. The regulations, which were promulgated 20 years ago during the final months of the Clinton administration, do not contemplate any sort of report sent directly from the special counsel to Congress or the general public. To the contrary, the regulations call upon the attorney general, William Barr, to receive the confidential report and then do two things: First, to notify Congress of the investigation’s completion and, second, to provide an explanation for certain specifically enumerated actions. There is no requirement for a Barr-edited version of the Mueller report. 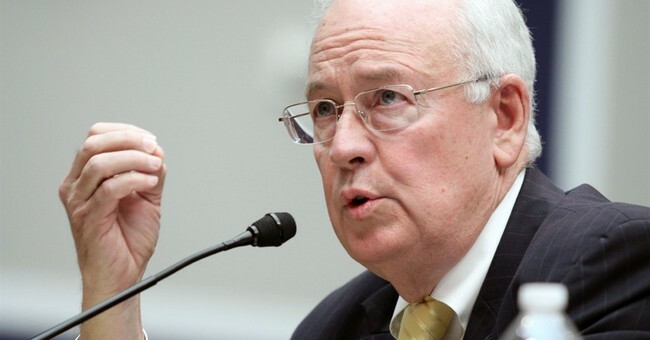 Starr reprimanded members of Congress who want Barr to hand over the Mueller report in order to attempt to impeach President Trump for alleged wrong-doing. The former Independent Counsel's take on the situation is simple: if Congress wants to attempt an impeachment proceeding, they need to do their own research and evidence gathering, not rely solely on Mueller's findings. If the House wants to consider impeachment, it needs to do its own work. It would be odd in the extreme to ask, in effect, the executive branch to become a tool of the legislative branch in a death-struggle with the only individual identified in the Constitution as the possessor and wielder of executive power: the president. That was the old way, under the old statute. Congress did away with that approach, and wisely so. The current system Mueller runs under was meant to remedy issues that took place during Starr's investigation during the Clinton administration, specifically the "low threshold" of evidence that was needed to implement impeachment proceedings. Most provocatively, the statute [Ethics in Government Act of 1978] required an independent counsel to refer matters to the House of Representatives for possible impeachment when a surprisingly low threshold of evidence was in hand—“substantial and credible information that an impeachable offense may have been committed.” I followed that requirement when I produced the so-called Starr Report, which then took on a controversial life of its own in the House in the dramatic months of 1998. According to Starr, then-Attorney General Janet Reno implemented the new special counsel rules that Mueller operated under because she saw the way the Starr investigation unfolded. The goal was to allow the special counsel to investigate and provide the Attorney General with reasoning why to prosecute and determinations not to seek a prosecution. But Starr did point out one important bit of information: Barr has greater discretion to determine what's released to Congress and, ultimately, the public. Barr has said he would provide as much public transparency as possible. Now we have to wait and see what that looks like.